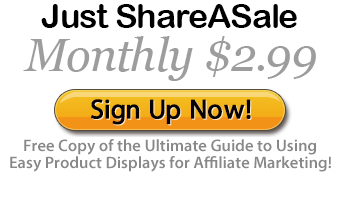 Increase Amazon, ShareASale, and Zazzle Earnings With Easy Product Displays! Are You Ready to Increase Your Website Earnings? 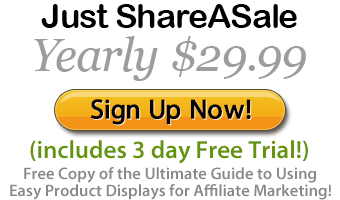 Are you an Amazon, ShareASale or Zazzle affiliate? Have you spent hours messing with affiliate product links only to become frustrated and give up? We were too. 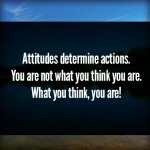 We are Affiliate Marketers just like you and we knew there had to be a better way. That’s why we developed Easy Product Displays! Now you can easily generate beautiful product displays to add to your webpages with just a few mouse clicks. 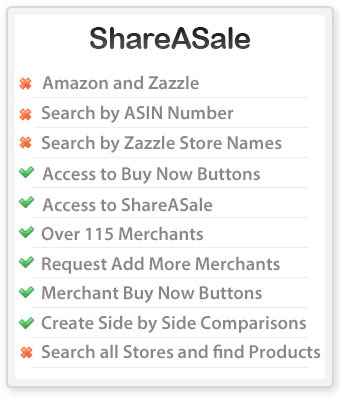 The Easiest Way To Add Amazon, Zazzle or ShareASale products to your blog! Monetize your webpages and earn more money, faster than ever before. There Are Millions of Affiliate Products At Your Fingertips! What Makes Easy Product Displays So Special? Take a Peek Inside Easy Product Displays and see just some of what we offer for such a small amount! 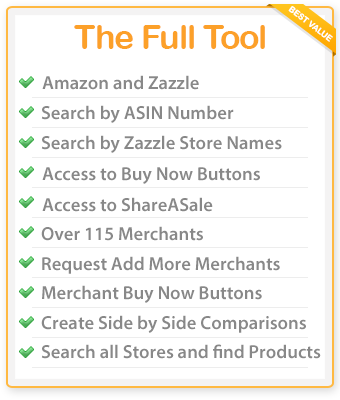 Our tool is designed for Amazon associate bloggers, ShareASale affiliates and Zazzle affiliates. 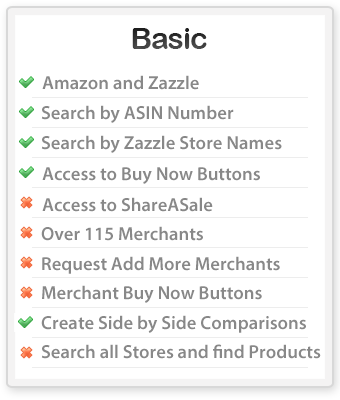 If you create products for sale on Zazzle, or write about products for sale on Amazon, or promote ShareASale products, our unique tool is designed to make your life easier! Anyone who wants to earn money writing online. You can easily create attractive product displays to add to your blogs and webpages. 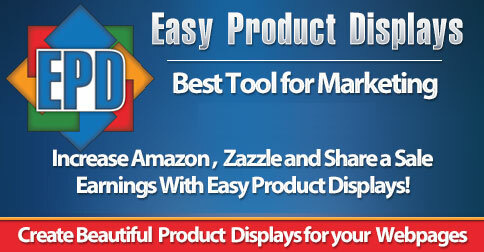 Easy Product Displays is an html generator that makes Amazon, ShareASale and Zazzle product displays quickly and easily. If you are looking for the best tool for Amazon, ShareaSale and Zazzle associates, then look no further than Easy Product Displays! After signing up, you will be able to get right to work building beautiful Amazon,ShareaSale and Zazzle product displays for your webpages. If and when products sell out, just import your code back into our tool and re build your display. It is simple, quick, and easy to do! With just a few clicks of your mouse, you will be able to display topic related products on any webpage you own. Anyone can do it! 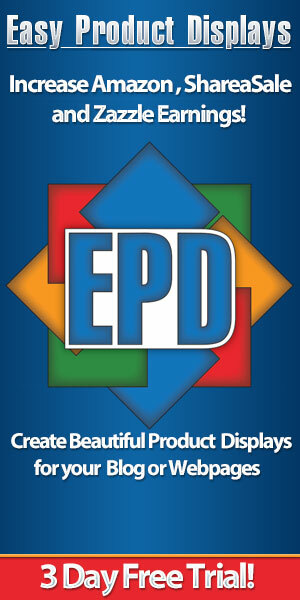 The beautiful product displays you will create with E.P.D. 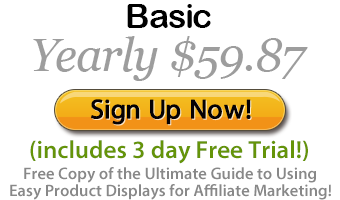 can increase your blogs affiliate sales quickly. Create a visually pleasing display of a single product or several products in many display configurations. These editable layouts are easy to create, look beautiful and entice your website visitors to click and become buyers. What is Easy Product Displays? Watch this short video. Built In Amazon, Zazzle and ShareASale Search Features! Amazon Associates, ShareASale affiliates and Zazzle Affiliates can search for and add products to create beautiful product displays that increases conversion rates and sales! 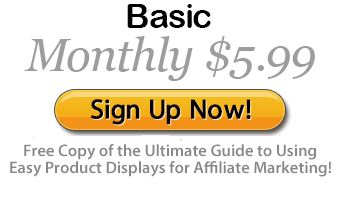 Easy Product Displays is also great for Linkshare, Cafepress, Etsy, Skreened, or anywhere you might create products or any of your affiliate programs. Templates! There are many templates to choose from that will work on any website that allows you to use your own html. You choose the size of the images, the font, and whether to have customizable borders or to display buy buttons. Match your website colors. All of these options are just mouse clicks away. It takes less than 2 minutes to create a gorgeous product display. Saved Settings! 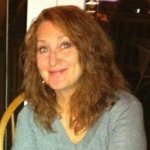 Tired of filling in settings and affiliate link id’s? Easy Product Displays makes it easy on you! Fill in your profile once, then forget it! Own more than one website? That’s ok, You can create up to 20 custom settings profiles with each websites custom colors pre saved. It’s easy to do! 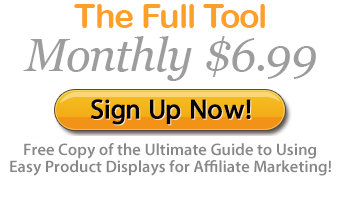 Affiliates Program! Do you know people who would enjoy using our tool? Invite them to the site with your own special link and earn 25% percent of the sale. (Payments every Friday!) Complete with visitor stats and all! Sign up to be just an affiliate for no charge. Time is money, and EPD will certainly save you plenty of time! What Are Current Users Saying About Easy Product Displays? A week after signing up for Easy Product Displays, I broke my left arm at the wrist—both bones. Everything had to be reconstructed with a metal plate. Naturally it was my dominant side, which should have landed me on a couch watching TV for month. Thankfully I discovered how easy it was to execute EPD code using just my right hand. 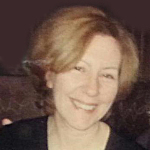 I was able to cut and paste hundreds of products onto various blogs and web pages during my recovery. Holding a pen was impossible, but thanks to EPD I was able to remain productive and replace my outdated code with beautiful new product displays and buy buttons. Now that things are back to normal I continue to use EPD every single day! I don't have time to get into how great the company is and how awesome this product is. I could be writing all day so I'll keep it brief. I have been using EPD for some time now and it has been amazing! What a time saver! You can pick your layouts and it is all so simple (and inexpensive for what you get). I love that you can import your code to edit your layouts. That, in itself is worth the price of admission. The company itself is amazing as well. Great people -- helpful and nice; it is no wonder their product is this great. Thanks for everything. I used to manually install all my product images and affiliate links...and then someone told me about EPD. I love everything about this fantastic tool: Low monthly fee, easy to use, excellent support on their FB pg and takes a fraction of the time to get my product images and affiliate links into my blog posts! The result is spiffy professional looking product displays that have increased my conversion rates! You're selling yourself short if you don't use EPD! 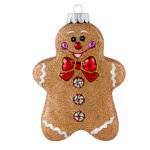 With EPD it's Easy to Feature a Lot of Funky Home Decor Products! Finding a way to feature a great number of funky home decor products in a timely fashion and keep my sanity in the process was a number one priority! EPD turned out to be an excellent solution! Time savings and simplicity make EPD a wise choice! Best of all, you don't have to be an HTML guru to use it! This is one of the best go to programs I subscribe to. It's cut my work in half. There is just nothing easier or more reliable out there. I highly recommend EPD to anyone who has a blog. 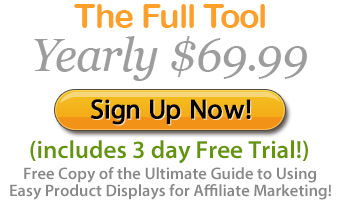 I've been searching for a tool to help ease my affiliate marketing for so long. I even bought one that ended up not updated and messed. Till the day I gave a try to EPD. Easy Products Displays fills all my affiliate marketing needs: I can create nice Amazon and Zazzle affiliate displays in a matter of seconds. The tool is so versatile that I can even use it for my other affiliate programs - I only have to copy and paste links into the system to form stunning displays. If products run out of stock I just have to import my old code and update it in a few clicks; a real time saver! I just love EPD and couldn't work without it any more. I can't remember how I found Easy Product Displays but I don't know where I would be without it! Not only am I using it for every post to showcase Amazon and Zazzle products but I also use it for other affiliate products by adding them manually. 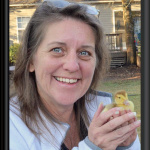 It gives my site a coherent and neat look and I've received several compliments on the layout and design. EPD makes it so much easier than trying to fit multiple and varied products into the same design manually. It's also a huge time saver which allows me to focus more on writing and developing my audience reach. EPD Makes Online Work Easier! 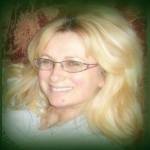 I use EPD to build my affiliate pages on WebNuggetz and other writing sites, as well as on my own websites. I can't stress how EPD has made my online work easier and quicker! A few clicks and you have beautiful product displays in very little time. Thank you Easy Product Displays! I use EPD every day! 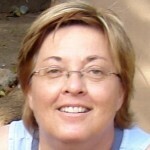 EPD is the easiest way for me to add products to my blog posts and webnuggetz and xpressionportal posts. I can quickly search for the products I need, choose the very best, and then copy and paste the much-dreaded html - all ready for me with my id there. I really am good at copy and paste, aren't you? 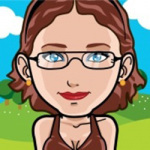 A Must For Bloggers and Affiliate Marketers! 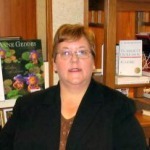 I am an affiliate marketer and blogger and EPD makes it so easy to display products. It's also extremely easy to update posts or replace broken links with EPD. Try the EPD free trial and see how much time it saves you! This is an amazing product! Great for Amazon and Zazzle affiliates with more merchants being added. I use EPD every day. I am not sure what I would do without it. It is easy to use and very easy to understand. I love the fact that I can upload old code from EPD to update or to change products out. EPD makes that a snap to do. This program is designed so you can create product displays that are all the same or change it up. You have total control. Choose whether you will show the name or not. Choose whether you will have each product featured within a box or not. Change what that box will look like and choose the type of button you want them to click through on. They have several already made for Amazon and other companies or you can create your own. Also, being able to search for products while in EPD is a time saver. You can make product displays fast and easy and you still have complete control. 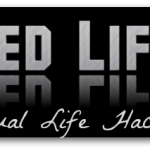 This is a "must have" program for any affiliate marketer. 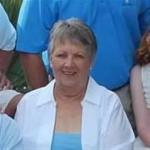 EPD Makes it Easy to Share helpful tools for those with Alzheimer's! I love EPD. 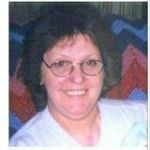 It helps me to offer many more items to my readers with Alzheimer's dementia than I could in the past. Easy Peasy to use, too. Books and many other tools are now available at each post on my website. My readers can find what they need easily, and click to the item for a larger view with extended information and the price. This site has saved me so much time. I can load it up, click my mouse a few times and have a gorgeous display to drop into a blog post. It helps me find great products to display and makes them pretty for my posts without too much effort on my part. It couldn't be easier or faster. Selling Online Made Easy! Without HTML! EPD is simply what every person who wants to sell online needs. Whether you are affiliate marketing or selling your own product, or promoting your Zazzle or Etsy store, you need this tool for making an eye catching, appealing display to draw in your customers. And you don't even have to understand or know HTML to make your website look professional and inviting. This marketing tool is easy to use even to a new person and they provide several how to videos and the owners are always available to help when needed. I have been using this tool for years and the owners of this tool seem never to be satisfied with the already great product they have given us but are constantly working on improvements and upgrades. It is truly worth every penny. And pennies is about all they charge, since this is the most reasonably priced piece of equipment in my online marketing arsenal. In my opinion this is a must have for marketing online. 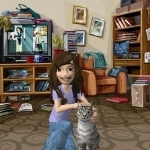 I have ten websites all using EPD and a Zazzle store that I promote and can wholeheartedly recommend this product to you. Easy Product Displays is the answer to anybody who wants to do affiliate marketing with Zazzle and Amazon, or even just make a website that looks elegant and professional to sell anything online. Absolutely easy to use with many features and options to choose from. The newly included features like searching by ASIN number for Amazon and by storename for Zazzle products simply made a great product even better. Honestly, I was about to give up on Amazon affiliate marketing when EPD came along and helped me see it is still possible to do affiliate marketing online without spending hours on each post on the site. EPD is a great time saving tool that lets you maximize your efforts to shine online. You will never regret using EPD! The Place for Everything Baby! I have been using Easy Product Displays for many years, I would be lost without this tool! The customer service you get from Thomas and Holley is second to none, and they are always willing to listen when I get an idea for something new or different. 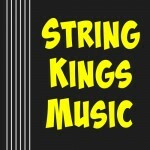 I plan to work with them and their websites forever!